Time and time again we always hear about the negative consequences of playing video games. Every time a school-shooting occurs, violent video games are always to blame. Video games are attributed to laziness, bad grades, lack of a social life, and much more. The negative stigma of video games has always been omnipresent in our culture ever since its appearance, but why is that? According to Jospeh Olin from CNN, journalists report and emphasize super violent and mature games and use those games as representatives of all games in general. Journalists attempt to make juicy and interesting headlines; in order for them to do so, they take very rare cases of violent video games negatively affecting children and emphasize that story to generalize all of video game culture. When I was growing up, video games had a monumental impact on my life. My family moved almost every two years while I was young, so I would always lose friends that I have made, but my video game system always moved with me. Video games were the only thing keeping me from going insane of loneliness; I would spend hours and hours immersed in a fantasy world that would take my real world problems aside, even for a little bit. In my opinion, Video games basically molded me into the person I am now. Sure, I can see how video games distract kids from doing their homework, but in the long run, I see video games as being extremely positive for some kids who can’t find a place in their social atmosphere. This being said, why is it that ever since the introduction of video games in 1980 to mass consumers, critics have been slamming video games for the negative consequences and violent behavior. According to Scott Speinberg, it’s actually a simple explanation. Video games are very generational products. Critics and journalists do not engage in the behavior of playing video games, so they do not experience the positive and or negative effects of the games. Even scientists have attempted to research on the negatives of video games. Christopher Ferguson, a Psychology Professor at Florida Stetson University quoted, ” Studies that aim to find negative effects get funded and promoted, while those with more benign findings are unpublished and forgotten.” This is very similar to the File Drawer Problem that we learned in class. Andrew talked about how many studies do not publish findings that may contradict the hypothesis of the study. In numerous studies conducted on video games, there were huge problems of the File Drawer Problem where the researchers only conducted and published studies that had to do with negative consequences of video games. The File Drawer Problem also brings up another problem that occurs within society. In class, Jason Wright explained how people should not fall for false claims from scientists based on their credibility. Most scientists are attempting to find the next “big” discovery in order to attain fame and status. They will attempt to announce major claims based on little to no evidence. This problem is the Appeal to Authority. With multitudinous amounts of Researchers claiming that there are numerous negative consequences with playing too much video games, it would be very easy to accept that claim, however, it is always best to analyze their studies and their data. Also, question these researchers and find holes in their research. 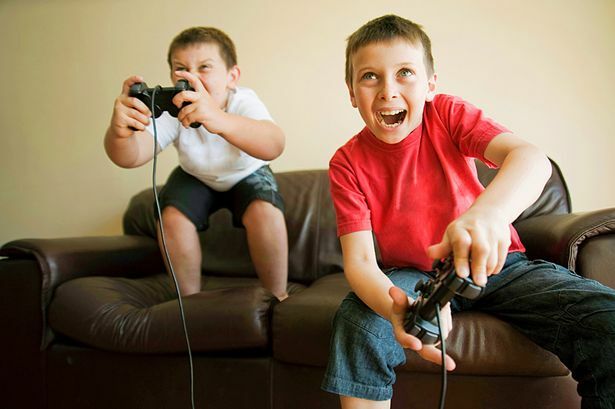 With so many studies claiming the negative side of video games, there have been new studies that show that video games actually positively impact the brain making kids smarter. According to an article on Forbes, an observational study was conducted to see whether video games was good for you. The null hypothesis is that video games are not good for kids, while the alternative hypothesis states that video games positively effect the brain, and they are good for you. The experimental group consisted of 30 expert video game players while the control group consisted of 27 amateur video game players. Using an MRI to track the insular cortex, researchers found that the pro video game players had more grey matter which promotes cognitive development. In the study, the grey matter acts as the mechanism. Through the study, we can be somewhat sure that video games make you smarter and are good for you, based on the study. We still need to take into account for chance, confounding variables, and reverse causation. There are two take home messages I want to conclude with. First, I just want to say that if you do something that gets your mind off of the troubles of harsh reality, than you should definitely do so. For me, video games helped me get through so much in life, and it honestly has made me a better person. If you are in the same boat as I am, please do not let studies tell you that video games are ruining you, if they do not have any concrete evidence or data. Second, I want to emphasize the importance of not falling prey to appeal to authority. Please check on the evidence of the data rather than the credibility of the auditor! During high school I use to babysit my younger cousins and other kids. They weren’t much of a hassle because all they were into was video games. I played some video games myself when i was younger and enjoyed it, but after watching this younger generation made me start to think, “how do they absorb all this crime and violence they do in these video games?” American Psychological Association have gathered enough research to support that games increase aggressive behavior. I believe it because after babysitting my cousins they would have mindset as if they are still playing their video games. Example is fighting others to get what they want and thinking of ridiculous solutions to their problems. 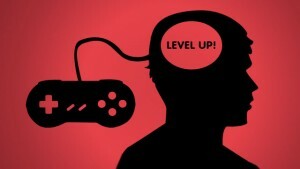 I believe that playing video games can be beneficial in some way, but only in moderation. The reason why video games can have such a negative connotation sometimes is because they can become addicting and the content in the game could also involve violence. If kids were to model their behavior based off of what they saw in video games, the world would be a disaster. Video games also allow for a cool ability when you are sleeping. It has been linked to being able to control dreams according to this study (http://www.livescience.com/6521-video-gamers-control-dreams-study-suggests.html. )Having control of your dream is referred to as lucid dreaming. Hooper states that avid video gamers are good at lucid dreaming because they spend time living an alternative projected life often. The null hypothesis you mention may be limiting the possibilities of the results. You state that the NH is “video games do not affect cognitive development and they are not good for you”. However, wouldn’t it be possible for video games to not affect cognitive development and they ARE good for you. The multiple aspects of the hypothesis limits variation in the results of the study, which limits the understanding of the affect of video games.